George and Cynthia Mitchell established the Center for the Performing Arts at The Woodlands in 1986. As the center's primary venue, the Cynthia Woods Mitchell Pavilion opened its doors to the public in 1990 with concerts by the Houston Symphony, Clint Black, and Frank Sinatra. 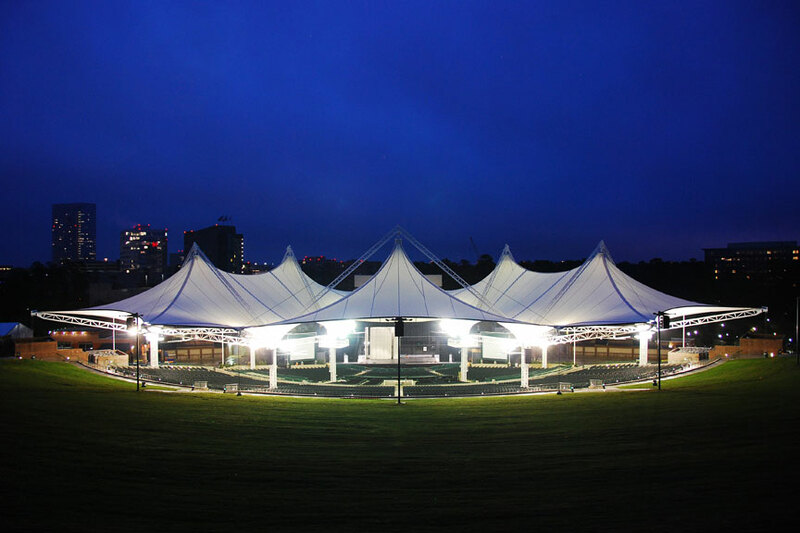 Surrounded by lush forests, the pavilion provides the greater Houston region with an array of performing arts and contemporary entertainment. Over the years, Cynthia and George donated more than $12 million to fund construction, expansions, and operating funds for arts programs. Today, the 19,500-seat Cynthia Woods Mitchell Pavilion is the second-most attended amphitheater in the world. The Center for the Performing Arts at The Woodlands has emerged as a catalyst in exposing large numbers of people to the performing and visual arts—with numerous educational outreach programs that reach approximately 40,000 students and members of their families from 17 area school districts, and several community outreach programs that enlighten and enrich the lives of thousands of people every year.